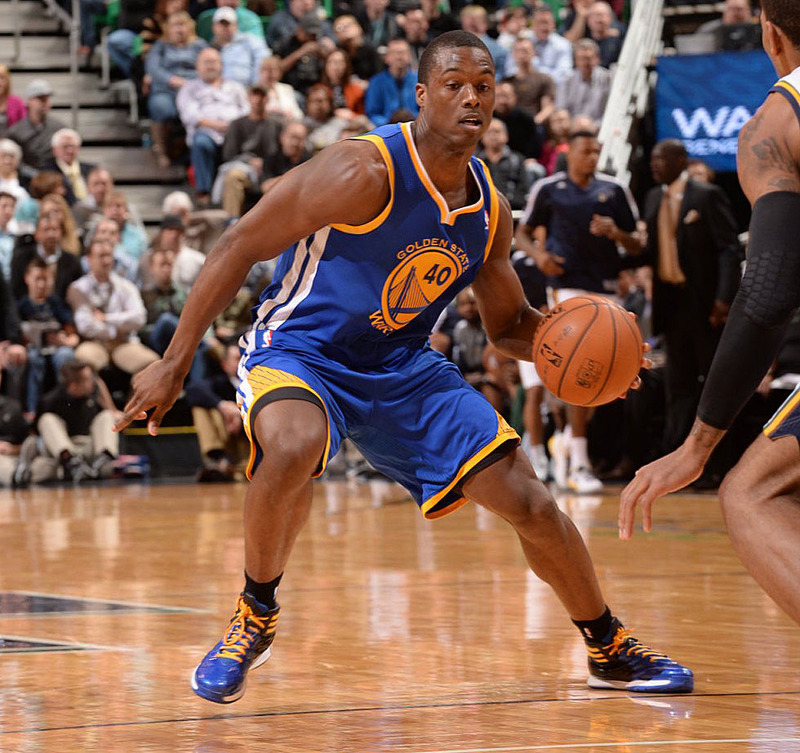 Part of a young Golden State Warriors team that plans on being a factor in the Western Conference playoff picture, Harrison Barnes has played the team's recent stretch of games in Player Exclusive colorways of the adidas Crazy Fast 2. 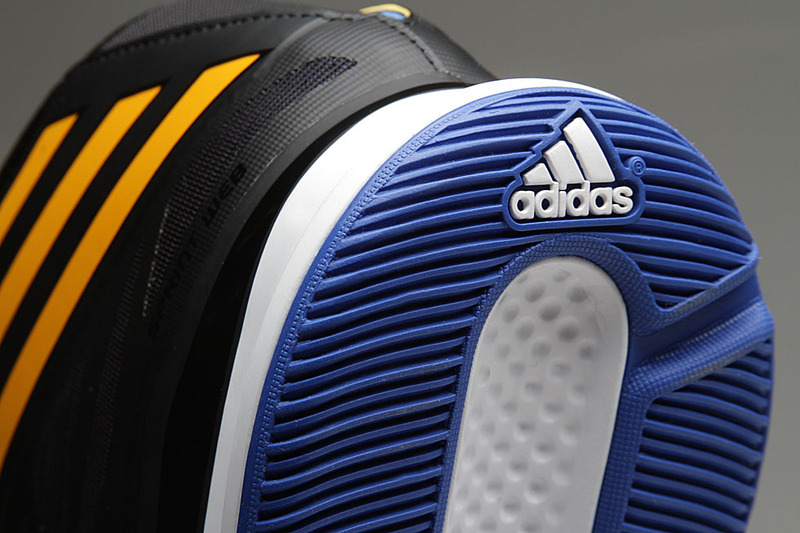 The Crazy Fast 2 is a follow-up to the popular team model introduced last season. 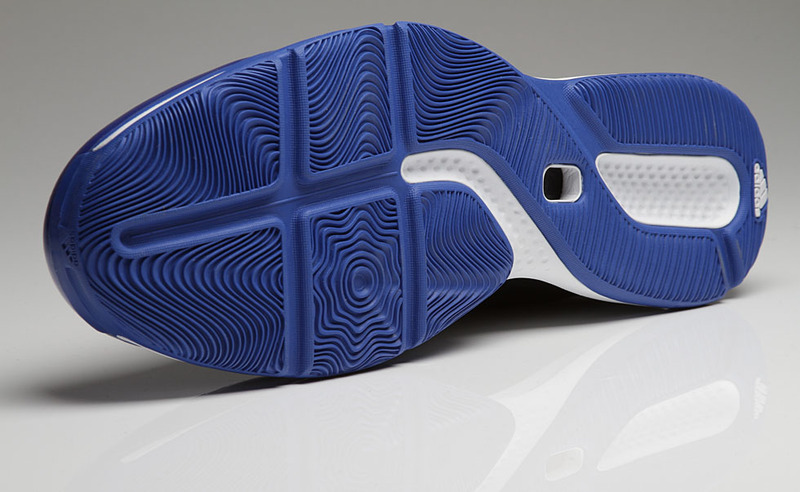 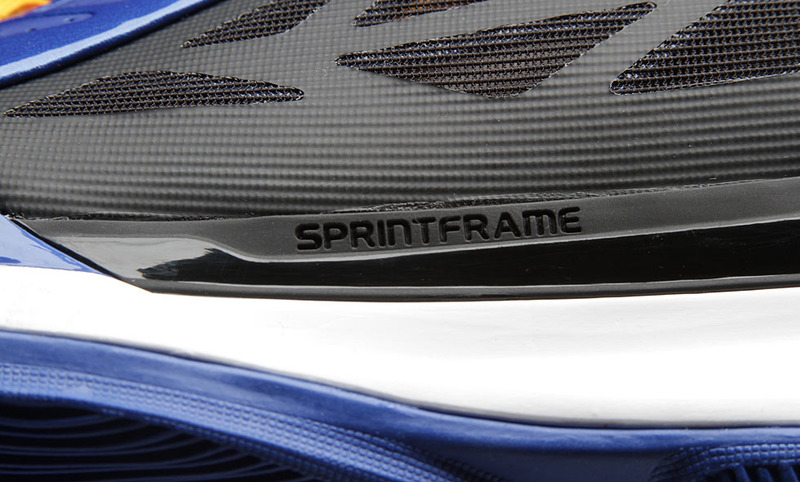 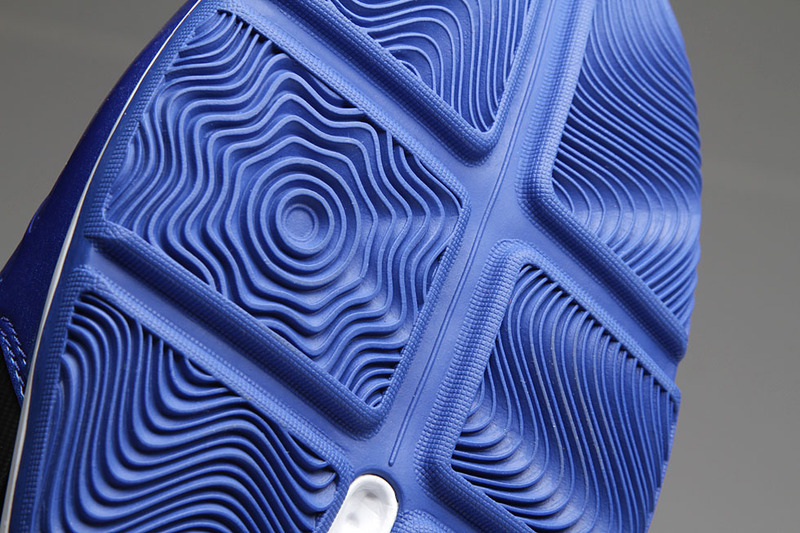 Tech features include a SprintWeb upper, SprintFrame construction, a dual-density midsole and miCoach compatibility. 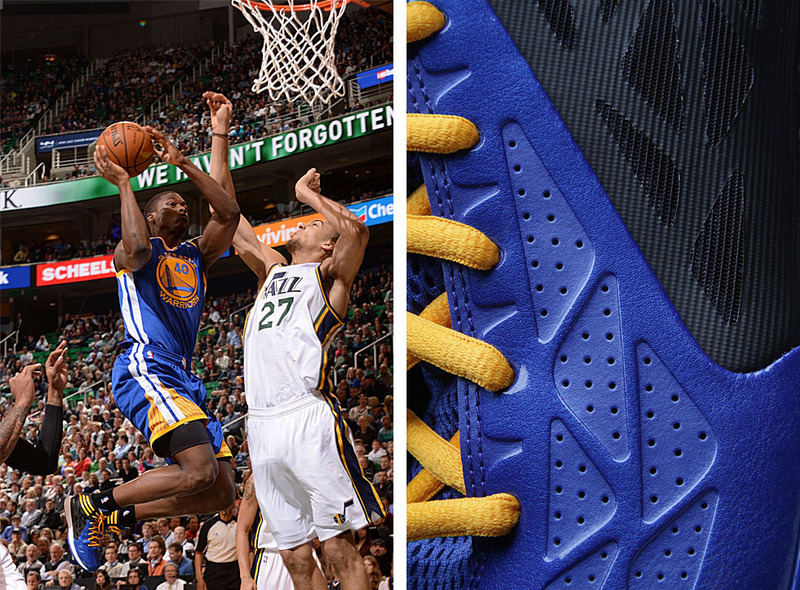 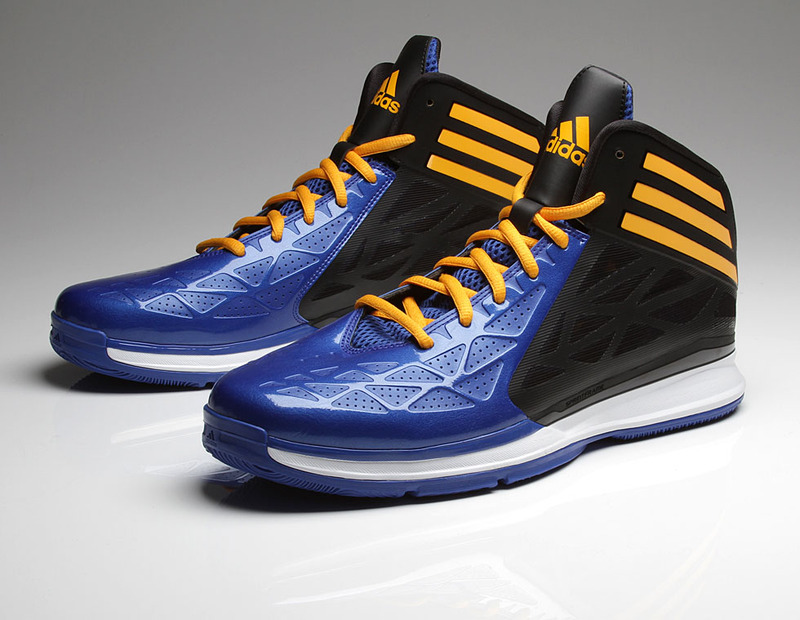 Barnes' PE for road games sports a split black and blue upper with gold accenting the laces, tongue branding and 3-Stripes. 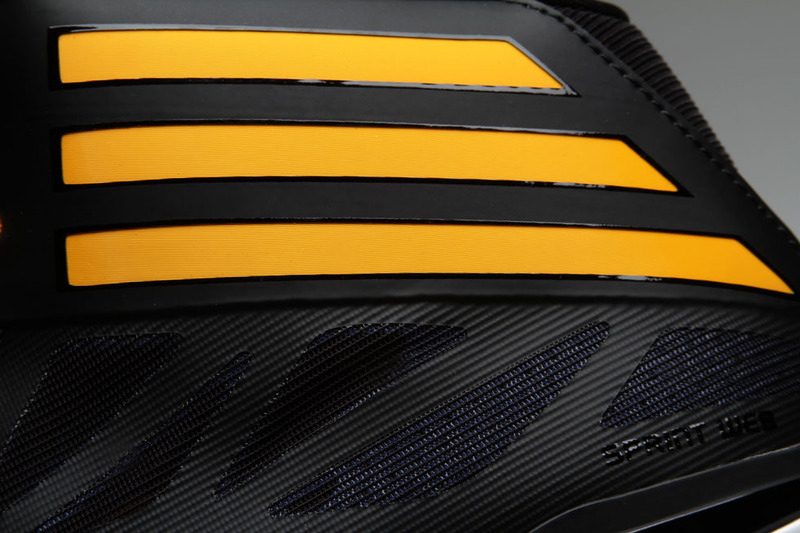 Read on for a closer look and shop the Crazy Fast 2 at adidas.com.